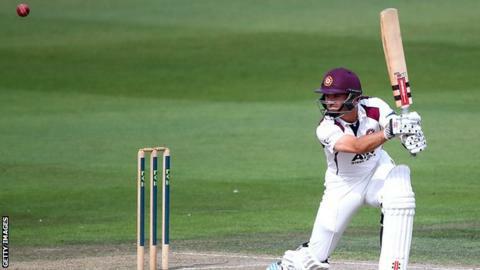 Veteran Northants batsman Stephen Peters has retired from first-class cricket at the age of 36. Peters made 110 on his first-class debut for Essex against Cambridge University in 1996, and also represented England at Under-19 level. After a spell at Worcestershire, Peters joined Northants in 2006 and has played a total of 260 first-class games. "It is with a heavy heart but a clear mind that I have decided to retire from playing," he told the club website. "The last 20 years have been very special, and the memories and friends I have made will stay with me forever." Peters averaged 34.87 in first-class cricket, and also played 177 List A and 24 Twenty20 matches during his career. His last County Championship game came against Derbyshire last month, where he made 13 and 12 in his two innings. Northants captain Alex Wakely added: "He has been one of the best opening batsmen in the country over the last few years. "He has been a loyal servant to the club and has always helped out others whenever he wasn't improving his own game. "He has been an exceptional role model for the team and I know many players feel privileged to have played with him."